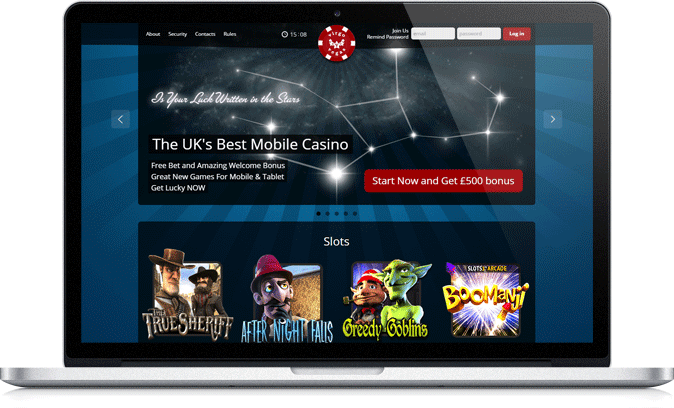 The client wanted to build one of the most flexible and mobile oriented casino software in the UK. The aim was to develop a casino from scratch, integrate it with several game providers with a payment gateway and implement a casino management back end to control and manage all the processes. The casino had to provide a comprehensive set of user features for its clients such as registration, profile management, balance control, deposits and withdrawals, etc. The team for this project included 2 back end developers, a front end developer, a designer, an administrator and a business analyst/project owner. The scrum methodology has been used during the whole jquery mobile development cycle. 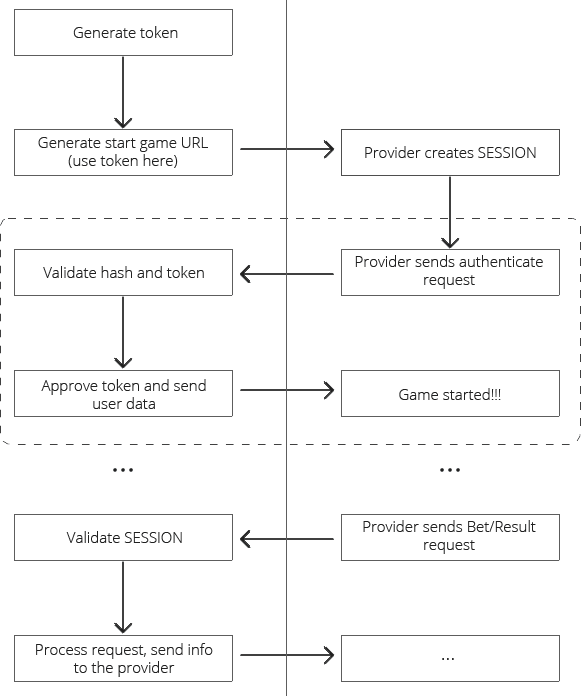 We did a great deal of business analytics work here to build a server architecture that can handle different game providers with various APIs and data structures. The database was designed to consolidate all user and game information received while game playing was in process. All design components were handcrafted by our designer. Many versions of logo and page template were made until we finally reached the one accepted by the client. We had around 5 brainstorms to complete the UI design. 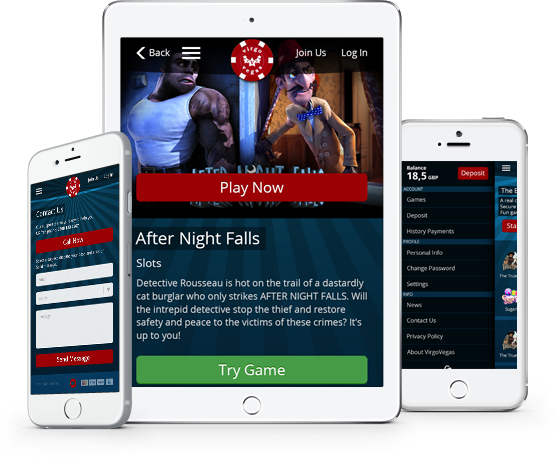 The internet casino supports both HTML/JS and native mobile games. To integrate with mobile games built as native applications we designed and implemented the APIt. Using the existing game graphics and characters our designers built teaser game images for desktop and mobile versions and promo slides to best fit into different screens. All software UI design components such as buttons, inputs, popups and others were designed from scratch in accordance with the chosen look and feel. We used Symfony 2.3 PHP framework to develop the backend with all its features as well as REST API services to integrate with mobiles and game providers. Using HTML5, CSS3 and jQuery Mobile development framework we developed a flexible mobile version of the site which is easy to use on smartphones and tablets. A few other jQuery components helped us to make it user-friendly and smooth. The back end management UI is powered by Angular JS and Bootstrap 3 which makes it really quick and easy to work with. 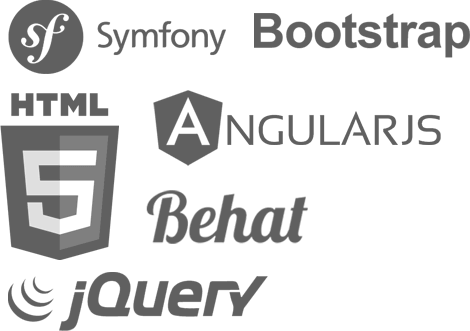 A Symfony-based Behat testing framework was used to develop UI and API tests.